A visit to Elkstone Farm in Colorado How do you grow food when the growing season is less than three months long? It’s all very well trying to eat local in a place like Rome or San Francisco, where the climate is relatively benign all year round and you can grow a great deal of produce without too much difficulty. But what do you do when you are at an altitude of more than 2000 metres with a growing season that is usually less than three months long? You do what you can, which in the case of Elkstone Farm, near Steamboat Springs in Colorado, means building four greenhouses, one of which is capable of ripening figs, citrus and even, occasionally, bananas. But it isn’t all greenhouses. Outdoors there’s a tangle of many different kinds of annual and perennial crops, which during the short growing season provide an abundance of fruits and vegetables. What came as a surprise to me was that the area used to be famous for its produce, and not just of beef cattle. Strawberries were an important early export, pioneered by a farmer called Lester Remington, who grew a variety called Remington (of which I can find no trace). Remington apparently produced huge berries, which were shipped by rail as far as New York City. A short-lived boom, started in 1900, was bust by 1916, the victim of a couple of years of late frosts and rising wages for strawberry pickers. Other exports included lettuces – shipped to California, no less – and potatoes, all laid low by costs of labour and of transport. 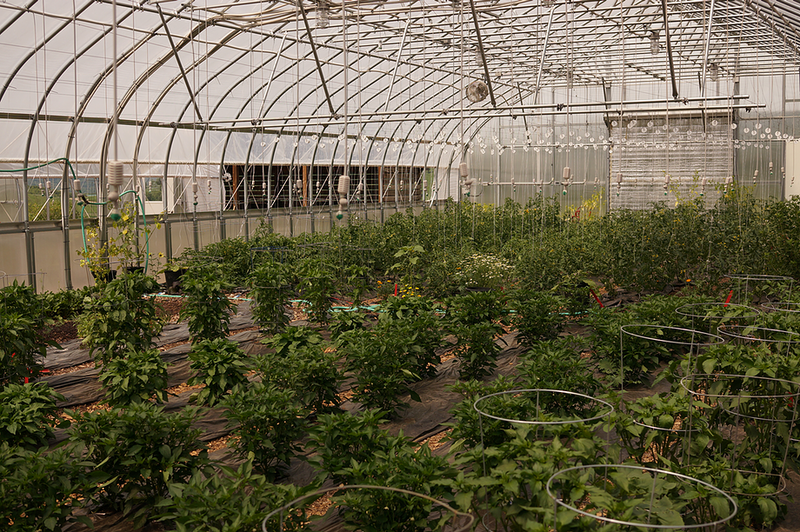 Elkstone Farm is one of the places trying to revive local growing. I was lucky enough to visit this summer, and was shown around by Alex Berger. Elkstone Farm has a website, natch. That strange herb Alex mentioned is shiso, also known as Perilla. An acquired taste that, once planted, is hard to lose. 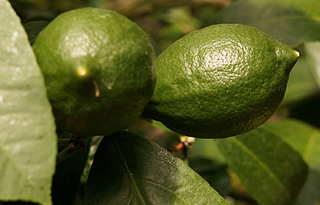 The banner photograph is of figs in the greenhouse, and below that, Meyer lemons ripening too. The other photos show the three hoophouses, the inside of one of them, growing tomatoes, peppers and other goodies and, back in the big greenhouse, Algerian mandarins ripening.